We’re here to help orthodontic treatment become as comfortable (and surprise-free) as possible. As with any new undertaking, doing a little research upfront will make a big difference. If you’re meeting with multiple orthodontists, it can quickly feel confusing when trying to keep them separate and pick the best provider for your child (or yourself). If you enter these consultations with a detailed list of questions, you’ll be able to stick to your script and emerge with a clear idea of who you’ll choose as your orthodontist. We’ve compiled some helpful questions to ask below, along with details on what to expect. If you’d like to learn the answers to any of these questions from our practice, all you need to do is get in touch! We have three Chicagoland locations to make your orthodontic treatment as convenient as possible. With any new medical professional, you want to be sure they have qualifications and experience to back up their job title. You should only receive orthodontic treatment from a qualified orthodontist. Ask whether they are a member of the American Association of Orthodontists; this means that the provider has kept up with continuing education. Both of our orthodontists are state specialty board certified in orthodontics. Dr. Bob Thomas is also a past Associate Professor of Orthodontics at Loyola University, as well as a board certified prosthodontist. Can you tell me about all my orthodontic options? Which do you recommend for me? Metal braces aren’t the only route toward a straight smile. In some cases, they may not even be necessary. Alternative orthodontics are great options for teens and adults concerned with the appearance of their teeth during braces. If you’re interested in ceramic brackets or clear aligners, ask the orthodontist about the type of options they make available. Remember, metal braces might be the best option for you or your child, but there’s no harm in making sure alternatives aren’t a possibility. You can learn more about alternative orthodontics on our website, and schedule a consultation to discover which options we recommend for your smile. This answer is different for every patient. It will only be clear after a thorough examination and x-rays. Your orthodontist will come up with a treatment plan for your braces, and let you know what to expect if you work together. For complicated cases, it’s likely that different providers will have different recommended courses of treatment. If you’re ever uncomfortable with a recommendation, schedule a consultation with another orthodontist to get a second opinion. You can also talk with your dentist to see what they recommend. You should trust whomever you end up working with. Braces can take any amount of time, but average treatment length is 2 years. Your child may also benefit from two-phase treatment, which is performed at two different moments in tooth development. This expands the full treatment time. The cost of your child’s orthodontic treatment will vary drastically depending on length of time necessary, your location, your child’s case, and much more. Costs can also end up totaling more than the initial estimate if there are treatment setbacks (broken brackets, neglected rubber bands, missed appointments, etc) and braces take longer than expected. Ask your orthodontist for an estimate at the time you’re presented with a treatment plan. Many insurance providers cover orthodontic treatment. We will help you work with your provider to get clear answers about which costs will be covered. Thomas Orthodontics also offers payment plans and zero percent financing to simplify your payments and help make treatment affordable. What fees are there for broken brackets, wires or lost retainers? Your orthodontist’s office may have set fees for repairs and replacements. Knowing the prices ahead of time will help you feel more prepared should disaster strike – and potentially help motivate your kids to keep track of their retainers! What type of mouth guard should be used with braces? You should be given information about proper braces care from the start. This includes oral hygiene, daily habits, diet, tooth protection during sports and more. If your child plays sports, this is especially important to discuss before their first day in braces. A custom mouth guard always provides the best protection, but over the counter mouth guards are helpful if you want something quicker and cheaper. How often will I need to visit the office? Depending on your treatment, you’ll need to visit the office anywhere from once a month to every six weeks to even less. Plan out these visits ahead of time so that you can build them into your family’s schedule. This consideration also helps you decide on an office while considering its location. Make sure to look for a qualified provider plus a soothing, welcoming atmosphere plus office location that is conveniently situated. You’re going to be visiting your orthodontist often – don’t put up with hours in traffic to get to the office regularly. We have locations in Naperville, Hinsdale and Oak Lawn to best provide for patients across Chicagoland. How should I brush and floss with braces? Oral hygiene gets a little more complicated once brackets and wires are on your teeth. Children have an especially hard time navigating the complicated framework that’s suddenly on their teeth. Ask your orthodontist for product recommendations and guidance on effective brushing and flossing. Your child may need some extra help as they’re getting started with braces, and we’re here to provide that. Using fluoride toothpaste and making sure you’re brushing regularly should help you avoid cavities and enamel decalcification. Every office has slightly different emergency protocol. Thomas Orthodontics offers a 24-hour answering service to guide you to help whenever you might need it. Will any teeth need to be extracted? Tooth extraction is becoming less frequent in the field of orthodontics. In the past, teeth were often extracted in the case of crowding to create more room for teeth to shift. But today’s orthodontists are as conservative as possible. Our orthodontists will work closely with your dentist to gain a detailed understanding of your dentist history. We rarely extract permanent teeth and will make a straight smile a possibility while retaining as many teeth as possible. Will braces change my facial structure? Braces do commonly change facial structure, but they do it in positive ways. That said, it’s important to know what to expect! If your child is getting braces when young, they’re likely to develop better-aligned jaws and a more symmetrical appearance as they age and complete orthodontic treatment. What are your usual hours and availability? Make sure the orthodontist has hours that fit your needs. If you’re going to require after-school weekday appointments, check that these time slots will be available to you. 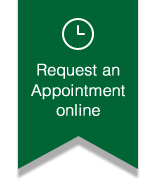 Thomas Orthodontics works extremely efficiently to get you in and out of the office ASAP and save you time. Ready for a consultation? Ours are always complimentary – get in touch to schedule today!